Since I’ve currently got the full season of The Hour downloading, but it looks like it’s going to be done right around the time robots rise and the inevitable battle for the future of Earth begins, today we’re going to talk about two pilots. The pilot for Mad Men, where Don Draper is a suave womanizer with a soft spot for the underdog, and the pilot for The Hour, where Hector Madden is a suave womanizer with a soft spot for the underdog. But first, some background! 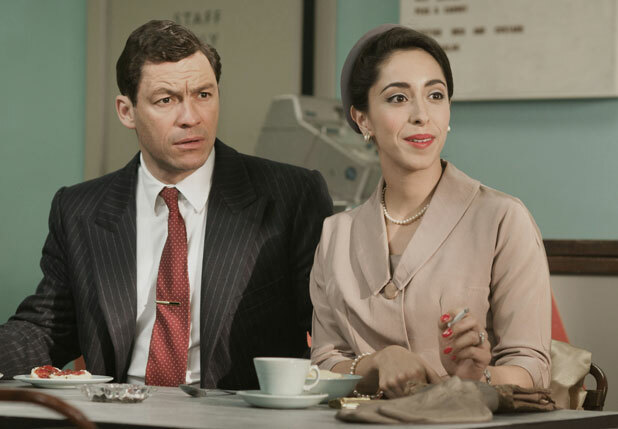 Both Mad Men and The Hour are workplace dramas set in the 1950s-1960s, centered around the influential media of the time. As befits American priorities, Mad Men is about the advertising industry and The Hour (a BBC miniseries) is about a topical news show. Both are strong, well written dramas that hit on issues of sexism, cultural awareness and racism. 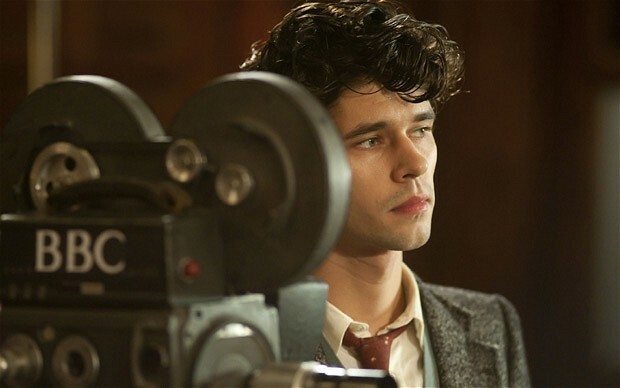 They also, as I said above, have very attractive, eerily similar leading men. Now, I’m stretching the truth a little bit for this, because Madden is not actually the main character on The Hour. That title probably goes to Freddy, the brash but gifted journalist who alienates everyone but is secretly an amazing person. Or maybe Bel, the wunderkind who’s just gotten her first shot to make a real news program despite all of the institutional sexism she has to deal with. For the sake of argument, though, we’re going to be comparing Don Draper and Hector Madden, because they share quite a lot of very interesting traits, with one major difference. We’ll get to that in a bit. 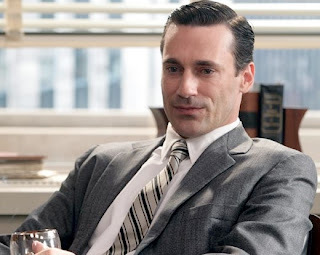 For starters, both Don Draper and Hector Madden are classic mid-century men’s men. They are the men that every guy wanted to be in that time. Tall, handsome, a little bit rugged but also very debonair, and with a side of mystery chugging the whole thing along. They’re both very talented in their fields, with Don as the virtuoso ad man, and Hector as the brilliant news presenter. And all of this is ignoring the fact that they actually look a bit alike. Both Don and Hector are womanizers. For Don, in the first episode, we see him flirt with various women, then sleep with a bohemian in a loft, all before he eventually slides home to the comfort of his lovely suburban wife, with whom he is presumably very happy. With Hector, though, we see something a little different. 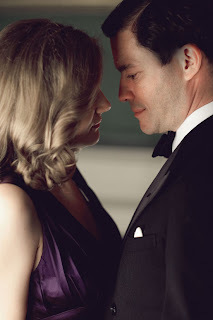 Sure, he flirts, especially with Bel, and we see him waltz through the episode on charm and a few moments of brilliance, but in the end, we meet his wife as well. Except. Hector and his wife do not appear to be happily married. He very clearly implies that he married her for her money, and she seems to just be happy to have a trophy like him for a husband. In fact, his flirting with Bel seems to have been genuine. He really likes her. He just can’t be with her because he’s married. There’s a value judgment here, and it’s very interesting. For Don Draper, there is no problem with him having an affair. He’s having one at the start of the show, and he will continue to have them pretty much throughout the show. They will destroy his first marriage and constantly loom as a threatening image over his second. And here’s the thing: the show tells us that this is okay. Don just needs a lot of female validation in his life, we’re told, and it’s perfectly fine for him to behave this way. It was the sixties. Things were different. Well, no. 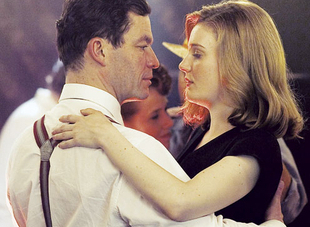 The Hour makes the point, several times in fact, that Hector’s womanizing tendencies are not okay. 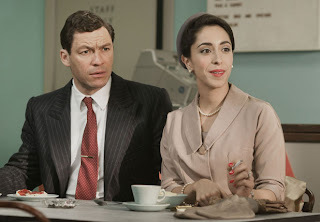 From his casual dismissal of Bel early on in favor of flirting with the receptionist, to his eventual admission that he has a wife, Hector is shown to be acting inappropriately. He is sexist and womanizing and cheating on his wife. And it’s not okay. This goes even further in the show. Where in Mad Men the workplace sexism is just shown as matter-of-fact and commonplace, on The Hour it’s shown to be bad and wrong. It’s not that The Hour doesn’t show sexism or paints some pretty picture of the era, it’s that they give the female characters enough of a lens that we can see it through their eyes. And it’s not okay. Take a simple interaction between Bel and Freddy, for example. In the pilot episode, Bel discovers that she and Freddy have achieved their dream of running a topical news show. But, instead of Freddy being the producer and her the reporter, she’s gotten her big break. It’s great for her, and she’s thrilled, but looming over her celebrations is the knowledge that she’s going to have to tell Freddy, and he’s not going to like it. The important thing, though, is that we see this from both sides. We see that Freddy’s really just upset that he feels like he’s being discriminated against for being lowerclass and uneducated. And from Bel’s perspective, we get that she has been hearing insults like this for years, and while it hurts, it’s never going to dissuade her. We see the whole situation, and we know that Freddy’s behavior is not okay. Similarly, we see the whole situation with Bel and Hector. We can tell that Hector is unhappy in his marriage, that he wants the spark he can see in Bel, and that he genuinely does like her. But we can also see that Bel is wary of a workplace romance, because people will accuse her of getting the job on her knees. She’s not willing to tangle with a married man. And she knows that she’s a lot better than the low-level researcher he accuses her of being when they first meet. When it comes down to it, the real difference is in representation. In the Mad Men pilot, Don’s mistress might have thoughts like this too, might think things about the way she’s treated and the frustrations of dealing with a Don Draper, but we don’t get to know it. Any scene that Don is in is Don’s scene. But on The Hour we’re afforded the luxury of seeing both sides of the issues, and told that even when the sexism is motivated by ignorance or jealousy, it’s still not okay. Freddy. What a lovable berk.